How long has the customer owned the vehicle? Does the customer service the vehicle at your dealership regularly? Do they perform recommended maintenances? Are they loyal to the dealership and/or the manufacturer? Have they owned other “brand X” vehicles? Manufacturers and dealerships will go above and beyond for loyal customers. These goodwill dollars are finite and tracked by the manufacturers to be reserved for the most loyal customers. In our experience, customer loyalty is most often rewarded by the manufacturer. Dealerships have finite dollars and will work hard for those that are regular customers. Another reason you may want your vehicle serviced at a dealership is because dealerships have certified technicians with yearly training that update them on the new makes and models of each brand the dealership carries on the lot. 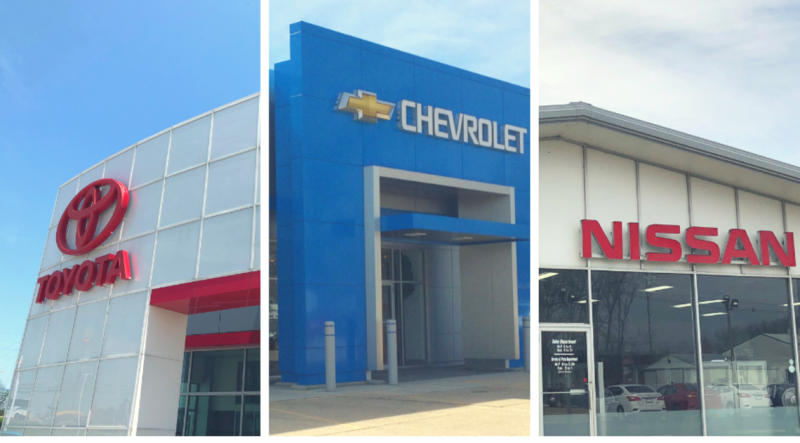 At our Monken Chrysler Nissan location we have 4 Certified Trained Technicians and 3 Master Technicians. At our Monken Chevrolet Buick GMC location we have 2 Certified Trained Technicians and 2 Master Technicians. A trained technician must have all certification that meet factory guidelines before they are able to work on our vehicles. A Master Technician has completed all levels of the training and are top notch.